Get the XPS 13 9370 with 8 GB of RAM, 256 GB SSD, and a Core i7-8550U CPU for $1175 USD. Deals will last until early next week in an attempt to clear out older stock and make room for newer models. President's Day sales are common in the car industry and now Dell will be cashing in on the shopping craze. 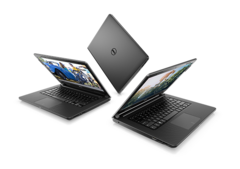 Starting from February 11 until at least February 18, Dell will be slashing prices across many of its major product lines for both consumers and business customers alike. Some notable deals include the last generation XPS 13 9370 with a Core i5 CPU for $880 USD, the Alienware m15 with a Core i7 CPU for $1650 USD, and the Precision 5530 with a Core i5 CPU for $1130 USD. See the link below for the full specifications of every sale item. The catch to all of these deals is that they will not all be available simultaneously. Instead, Dell will be staggering the dates and times of these deals to encourage users to browse through the catalogue multiple times. Users who are a part of Dell's Preferred Account and Member Purchase Program will also have "early bird" advantages over regular consumers. While this approach will likely increase clicks and traffic, it has the side effect of making shopping more confusing than it should be for the average consumer. The official Dell deals are as follows. Of course, we recommend checking out our full reviews on many of these models to learn more about them before committing to a purchase.